Chasingspace provides the perfect mix that any property needs - comfort, quality, sustainability and environmental consciousness. If you want to purchase resin flooring that hits these standards and gives you a safe and secure home that uses renewable resources rather than finite fossil resources, then please contact us here. The Products we use require resources such as raw materials, energy and human capabilities. These resources are carefully and considerately chosen. Some raw materials required for the manufacture of our products are finite. Therefore the objective of these resources is to remain available to future generations on a sufficient scale. Our resin flooring systems consist largely of renewable materials such as castor oil made from the castor oil bean. 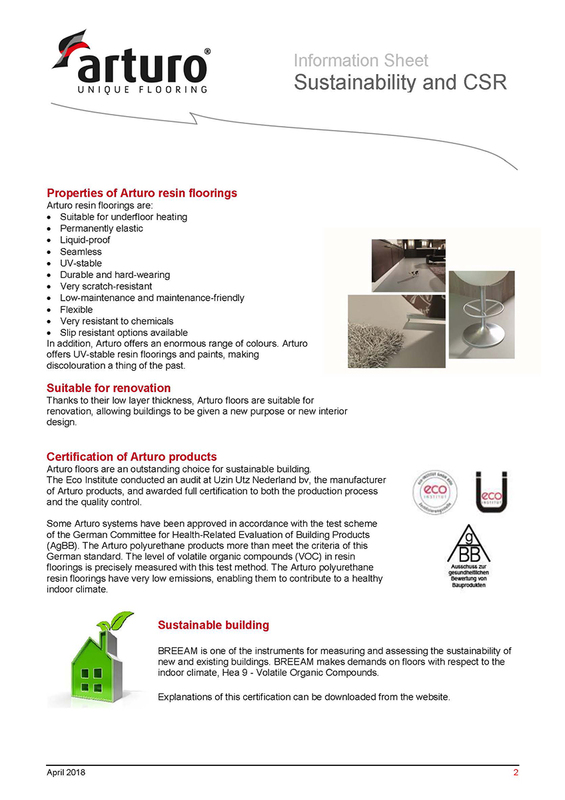 We offer non-solvented systems for sustainable construction which comply with low emission standards. As a result indoor air remains free of volatile organic compounds. Furthermore, installation of the flooring and wall systems is almost odor free. Renewable raw materials, low emissions, positive eco-balance, sustainability. 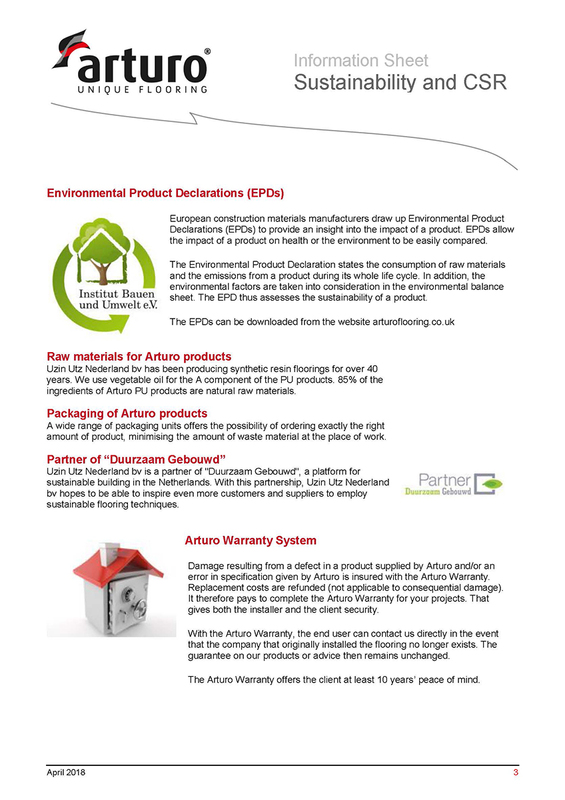 Our products have been tested according to the stringent AgBB (Committee for the Health Assessment of construction Products) regulations ensuring low emissions under AFSSET protocol, Nordic Eco Label & French VOC regulations (below). With a worldwide trend towards biodegradable materials, non polluting and biomass products, the castor oil based polyurethane resin is an alternative to formaldehyde based resins. Formaldehyde in its composition when released may cause problems to the environment and human health. Castor oil based polyurethane resin is a bicomponent type, formed from a polyol component derived from the castor beans (Ricinus comunalis). The castor oil, extracted of Ricinus communes seed is found in tropical and subtropical regions. It is abundant in Brazil and India, and can grow up to 12 metres or 39 feet. However it is not cold hardy but fast growing and highly renewable. Combined with a proportion of pre-polymer from petroleum (which increases its elasticity and adhesion) it is considered the best solution for delivering better mechanical performance. It uses the least amount of the derivative component of the petroleum. The use of renewable raw materials reduces dependency on fossil resources and can help mitigate climate change. With a high proportion of natural, renewable resources our flooring systems ensure low emissions and result in high indoor air quality. The sustainability provided by using renewable products and resources to source and fund large parts of the industry is something we feel strongly about. By creating resin flooring from renewable raw materials, we ensure we are using a product that is both durable as well as low-maintenance. Should it ever be replaced the old flooring can easily be recycled to create long-term sustainability. Not only are the floors easy to look after and maintain, but they also produce minimal amounts of volatile organic compounds.